Perfect for those summery festival days as well as the dark and sweaty club nights, the t-shirt dress is the dream outfit for every girl. Easily styled with accessories but also gorgeous just by itself, this dress is a must have in the closet. 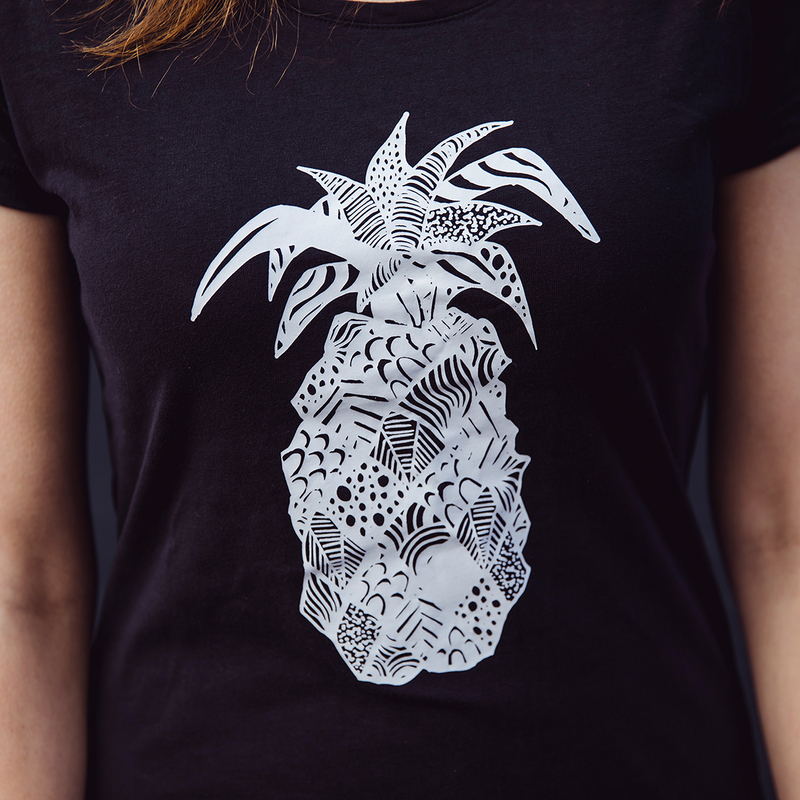 Pure black with a big pineapple on its chest, that’s how we like it.